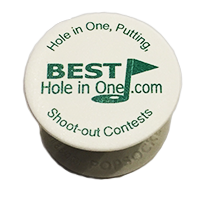 We offer a full range of customized signage and promotional items for your event. 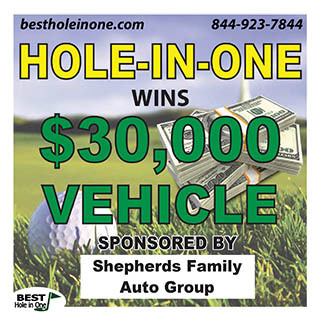 Contact your BEST Hole in One representative for information. 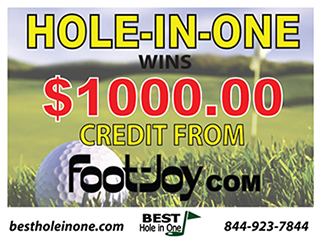 Each hole-in-one event purchase includes four 24x24-inch signs: one main prize sign and 3 bonus signs. 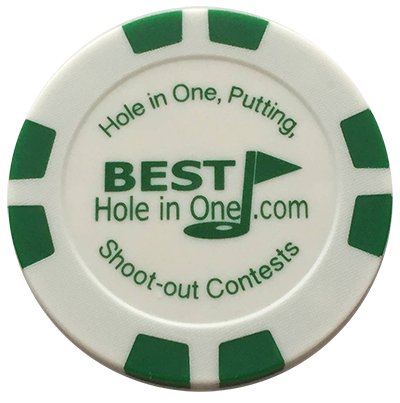 These events will receive one 24x24-inch sign with the main prize value on it; includes charity, company, or sponsor logo. 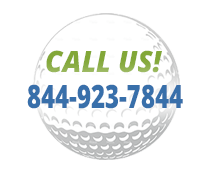 Shipping is included in your cost if the payment is received within 14 days of your event. Signs will be shipped via UPS. Your designated event contact person will receive an email with tracking number the day the signs are shipped. 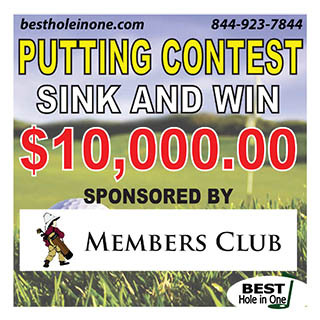 Hole sponsor signs are 24x24-inch, full color, no setup fees. Multiple logos can be added to one sign. 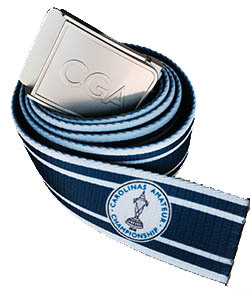 Ask about our customized promotional items!